Here is a brief excerpt from a Bain Brief co-authored by Domenico Azzarello, Frédéric Debruyne, and Ludovica Mottura, featured at Bain & Company’s website. To read the complete article, check out the wealth of resources, and sign up for email alerts, please click here. How is it that year after year, JetBlue Airways ranks first in J.D. Power and Associates North America Airline Satisfaction Study for the low-cost carrier category, with high levels of customer loyalty and advocacy? The key ingredient: JetBlue employees treat customers’ problems as their own. Running late for a flight? You might be escorted by a JetBlue counter agent to an “employees only” security line, right through to the gate. Putting together a complicated multistop trip? The call center agent will work with you to arrive at a satisfactory solution, not rush you off the phone. JetBlue staff members focus intensely on making the customer’s life easier, and customers repay the courtesy by spreading the word to others. Organizations have been trying for years to cultivate employee engagement. Like JetBlue, they persist in their efforts for good reason. One of the most powerful factors that spur customers to become advocates for a company is employees’ positive behavior and attitude. Bain consumer surveys show that the overall experience of dealing with a company often matters much more to customers than price or brand or—in industries with a big service component, such as home insurance and retail banking— even product features alone. Engaged employees go the extra mile to deliver. Their enthusiasm rubs off on other employees and on customers. They provide better experiences for customers, approach the job with energy—which enhances productivity—and come up with creative product, process and service improvements. They remain with their employer for longer tenures, which reduces turnover and its related costs. In turn, they create passionate customers who buy more, stay longer and tell their friends—generating sustainable growth. Organizations with highly engaged employees often seem to be powered by an inner force, a mantra that crystallizes the company’s processes and employee behaviors into a compelling summation of “what we’re all about.” The mantra shapes how employees carry out their tasks and gives them confidence to use their judgment. And when the true source of job satisfaction, happiness and recognition derives from enriching customers’ experiences, good things happen. While the benefits of high engagement are clear, the available data show it is difficult to achieve. Among a broad group of global companies surveyed in late 2010, only a small share of employees said they would recommend a job at their company to a friend or relative. Moreover, engagement declined steadily since the financial crisis in 2008, though it rebounded at the end of 2010, the latest data available (see Figures 1 and 2). In our view, too many companies try to raise engagement by launching disconnected initiatives like wellness programs. Such initiatives might improve employee morale slightly and serve other purposes, but they’re detached from customers’ priorities. They lack the specific mechanisms that lift employee engagement the most over a long period and link directly to customer advocacy. Companies that have substantially raised employee engagement act differently. They go beyond the basic prerequisites of employee satisfaction, which include an emotionally safe environment, the right tools to get work done and fair compensation. These trailblazers manage to instill an extraordinary sense of purpose and autonomy, as well as strong affiliation with the company and its offerings. They take a systematic approach, focusing on a few key areas. It’s intuitive that customer advocacy closely correlates with employee engagement. But when it comes to understanding employees’ attitudes and behavior, many companies are data rich but information poor. They use focus groups and long surveys to capture data, but find it difficult to generate insights that can inform smart business decisions to raise customer loyalty. One effective way to track and measure the link between customer advocacy and employee engagement is to use a metric we call the Net Promoter® score (NPS®). The company asks customers a single question: How likely are you to recommend [this company or product] to a friend or colleague? Respondents giving marks of nine or 10 are promoters—the company’s most devoted customers. Those scoring their experience at seven or eight are passives, and those scoring it from zero to six are detractors. NPS is the percentage of promoters minus the percentage of detractors. Promoters are enthusiastically loyal to the brand, the company and the product. They sing the company’s praises to others and they buy more and stay longer. Detractors, on the other hand, actively tell others about their terrible experiences. The rewards of customer advocacy can be substantial. In the telecommunications industry, for example, a few percentage points gain in customer NPS would translate into hundreds of millions of dollars in customer base value for a large provider. This occurs through an accretion of benefits: Promoters leave a company, on average, much less frequently than detractors or passive customers do, leading to higher lifetime revenues; promoters also encourage other people to join as customers at a much higher rate than passives or detractors do. The Net Promoter metric turns out to have profound implications for a company’s culture and how employees go about their work. Staff in product development, for instance, might need to change the way they calibrate success—not just high initial sales, but high sales plus a high NPS. Just as the Net Promoter approach has strong descriptive and predictive power with customers, it works just as well in the realm of employee engagement. Loyalty leaders measure engagement by asking a handful of simple but predictive questions: Would you ask your friends and family to work in this company? Why? And would you recommend our product or service to your friends and family? What would you tell them? 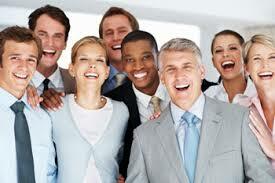 They then sort employees into promoters, passives and detractors. Conventional satisfaction surveys often serve as a security blanket to reassure executives—we have a high score, so everything must be fine. In contrast, the point of Net Promoter questions is to really listen to what customers and employees say about their needs and priorities. The Net Promoter approach has a radical simplicity that appeals to frontline, back-office and managerial employees alike. And our experience has demonstrated a strong relationship between the employee and the customer metrics. The reasons that customers become advocates or detractors are highly related to the degree of employee engagement. Companies that track NPS in both groups thus have an advantage over competitors in monitoring an important source of customer advocacy. The most effective companies nest these practices in an explicit decision framework, where employees have clear rights and accountabilities for the daily operational decisions that can add or destroy value. That does not mean “anything goes”; employees should rely on the systems and processes put in place to improve customer advocacy. But higher decision effectiveness has a strong correlation with greater employee engagement, Bain research shows. Domenico Azzarello is a partner in Bain & Company’s Paris office and a leader in the Customer Strategy & Marketing and Organization practices. Frederic Debruyne is a partner in Bain’s Brussels office and a leader in the Customer Strategy & Marketing and the Telecommunications, Media & Technology practices. Ludovica Mottura is a practice manager for Bain’s Global Organization practice and is based in Boston.